As you know, if you’ve been reading my blog posts, I’m a microbiologist who moved into the scientific instrument industry after about 20 years in academic and government research. I’ve written previously about how this happened — it was less random than it sounds, I promise — but I haven’t told you all about what it’s like to be in this business on a daily basis. Since my previous experience covers multiple fields, it’s no surprise that my job duties do, too. My official title is “R&D Scientist”, and it’s pretty accurate: I spend most of my time developing, testing or improving devices, or figuring out how to use them in new, innovative ways. 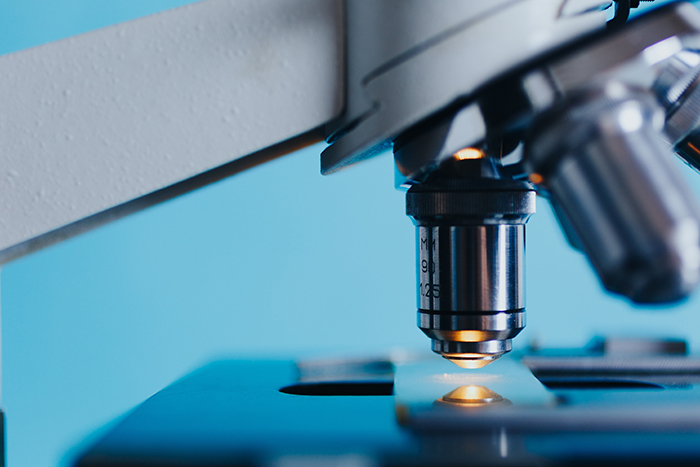 Because biology is a big and diverse field, and our customers have a huge range of requirements, I also build and curate databases of information about our machines and how they can be used in the laboratory. Finally, I work with our marketing professionals to help make sure we’re communicating with our customers in an appealing and accurate way. On any given day, I probably have 4-6 personal projects that I am working on. These could include firmware development for our computer-controlled machines, creating a new educational feature for our Website, tinkering with a new idea for a device, developing a database, or creating and testing a good biological QA procedure for our production department. Managing these projects is very much like managing different projects in a lab. You do background research so you understand the project thoroughly, identify resources you need, develop your project plan, and set approximate deadlines and intermediate goals. You also have to expect surprises, obstacles and serendipity, just like you do at the bench. The only thing that is different is exactly what I’m doing when I’m working. Some days I’m still working with a pipettor in my hand, but a lot more of my time is taken up with typing now. I’m lucky to work for a company that strongly emphasizes cross-discipline teams, so I will probably also be helping out other employees on projects they are managing, such as patent applications, hardware development, or a new marketing strategy. In those cases, I sometimes serve as a subject-matter specialist. For example, some of the engineers may have come up with a new hardware design, and they’ll ask me how it would feel to use it at the bench. I also have to help determine whether any of the materials might cause a problem when they interact with the reagents that would be used in the machine. Sometimes these conversations turn into full-blown design brainstorming sessions, and additional people may be pulled in as the conversation gets more involved. Finally, I also keep an eye out for tech-support questions from customers. These are far more interesting than you might think, and they’re important to work on because they are a valuable perspective on how our customers want to use our machines. Also, if we see the same question several times, that tells us we might want to think about tweaking the design or adding something to our FAQ. One of the most enjoyable parts is when a customer is trying to get an experiment to work, and writes in for suggestions. I do methods development in our machines, so I am familiar with the potential pitfalls that a researcher might encounter in the lab, and I also have my previous research experience to exploit when thinking through their problem. I’m sure you’ve brainstormed with a colleague when you’re stuck on a technique that should work but won’t, and it’s a lot like that. I should say is that my day-to-day work life is not the only way to make a living in this field. I have friends and colleagues who specialize in technical sales, information curation, product design, QA, and much more. People who do these jobs have very different work lives and skill sets. If you’re interested in a survey of possible careers, you might like to listen to a Webinar I gave for Bio Careers, which talks about breaking into the bioinstrumentation business. There are several vignettes from people with different job descriptions, who told me about what they do every day and what they like about it. The one common thread that I heard from everyone is that it is a great field to work in if you like to solve problems, and I heartily agree. After all, scientific instruments are supposed to be there to make researchers’ lives easier, so solving problems is pretty much our job description.